Pammy Blogs Beauty: The Weekly Question: What Was Your Favorite Holiday Beauty Item? The Weekly Question: What Was Your Favorite Holiday Beauty Item? Have you missed us?! We didn't go into a winter hibernation, although that would have been amazing! Instead, MABB collectively decided to take a mini-break from the bi-weekly questions in order to spend more time with our families over the holidays. But now we'll be back to normal! Thanks for your patience and understanding! We are excited to be back with our bi-weekly question! Each Wednesday, the Metro Atlanta Beauty Bloggers answers a beauty-related question just for fun! What was your favorite beauty item that you received over the holidays? The Holiday 2012 Collections were absolutely amazing this past season!!! Many of you followed my Holiday Shopping gift guide series. So, you know that picking a favorite is hard. So many pretty things! However, if I had to choose, I must pick Laura Mercier's Glamour Wardrobe as my favorite single item. This has become my most reached for palette for sure. It is absolutely perfect!!! The shadow assortment? Perfect! The Cream Blushes? To die for! 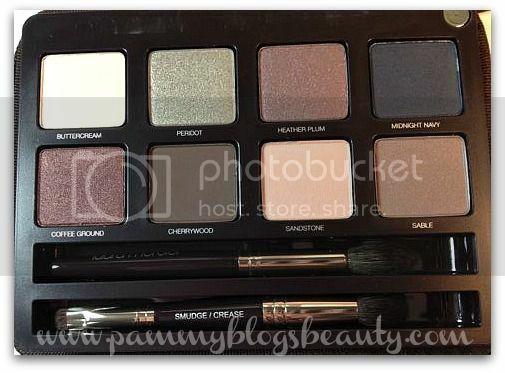 There are just so many great things about this amazing palette!!! 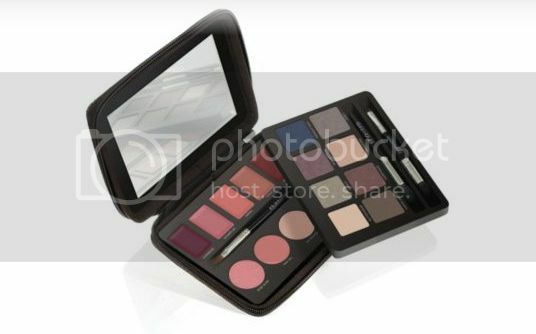 Dual Decker Palette for Eyes, Cheeks, and Lips: Contains 8 Shadows, 5 lippies, and 4 cream face products (blushes, bronzer, and highlighter). Still available online! It appears to be *on sale* for $58 at Neiman Marcus and Nordstrom! This palette is a steal for $58!!! Laura Mercier is one of my all-time favorite makeup brands. The quality of the products is just stellar. You get beautiful pigmentation for shadows and rich creaminess for the cream cheek and lip products. Plus, the packaging is extremely luxe and sleek. This palette is not only an everyday favorite, but also an amazing palette to take with you when you travel. You can have everything you need in one place! I may need to get this while its on sale! 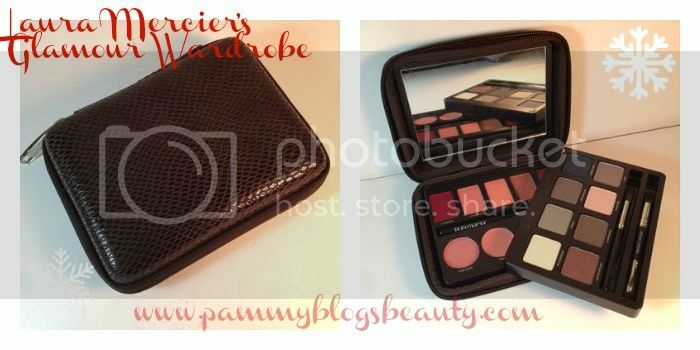 It's not like I need another palette but it looks like an awesome introduction to Laura Mercier! Great opportunity! I will surely get one! Wow...what a pretty palette!!! I especially like that "Sable" shade. Hope you have fun playing! !